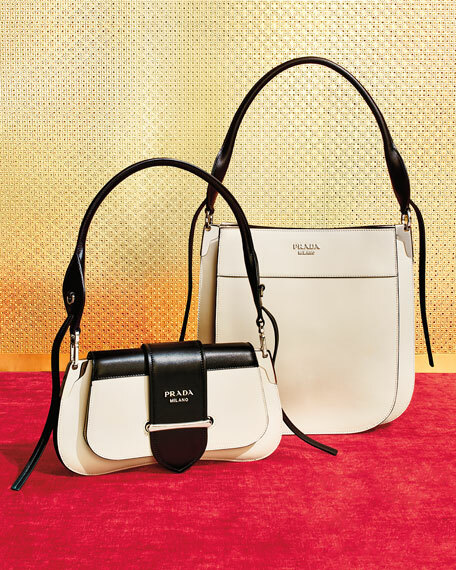 Prada two-tone calf leather city shoulder bag. Removable rolled top handle with tassel. Removable crossbody strap, 22.6" drop. Flap top loops through metal bar front. Approx. 11"W x 1.6"D x 5.5"H.